Pebble Beach Company opened its new Pebble Beach Visitor Center on November 13, commemorating the kick-off of the company’s centennial celebration in 2019 and providing guests with an incredible opportunity to learn about the storied 100-year legacy of Pebble Beach Resorts. 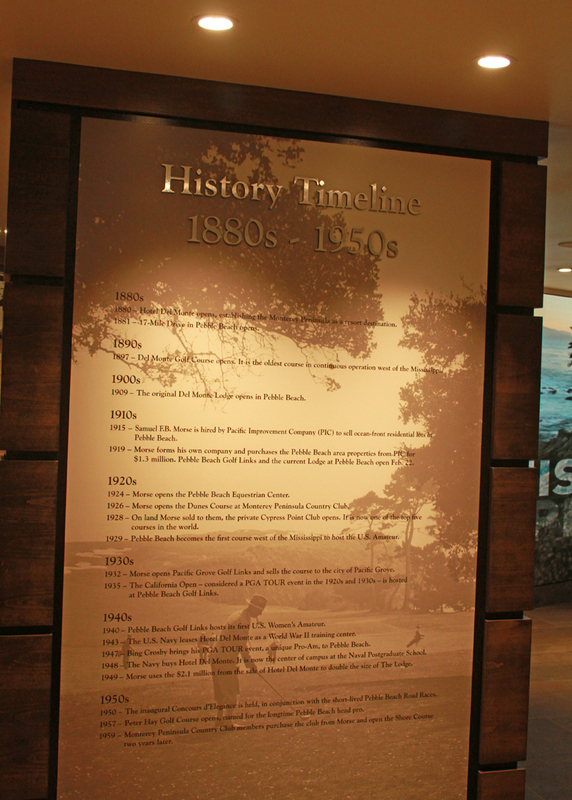 Located adjacent to The Lodge at Pebble Beach, the 8,000-square-foot Visitor Center features an exhibit area, which celebrates a century of Pebble Beach history through narrative, interactive exhibits and displays. It features exhibits about Pebble Beach Company ownership, from founder Samuel F. B. Morse to the current ownership group in place since 1999; the championship golf pedigree of Pebble Beach; the unparalleled collection of golf courses in the Del Monte Forest; special events like the upcoming U.S. Open Championship in 2019; and the Company’s commitment to the environment and community. Exhibits are highlighted by archival video, replica trophies, and photography from our archives. Employees who are knowledgeable about Pebble Beach history are available to answer questions and enhance the experience. The Visitor Center also includes a retail area with Pebble Beach souvenirs, apparel, and grab-and-go food and beverage items. An outdoor picnic area offers a convenient location to enjoy a bite while taking in the views of Stillwater Cove. The Visitor Center is the centerpiece of the iconic 17-Mile Drive scenic tour and is stop No. 14 out of its 17 points of interest. The original 17-Mile Drive opened in 1881; before the automobile had become a way of life and horse-drawn carriages explored 17-Mile Drive starting from and ending at the famous Hotel Del Monte, now the site of the Naval Postgraduate School in Monterey. Those early visitors exploring 17-Mile Drive in the 1880s started a trend that has only grown over the past 135-plus years, with 17-Mile Drive now being one of the most famous roadways in the world. Other well-known stops on 17-Mile Drive include the Bird Rock wildlife viewing area; Ghost Trees at Pescadero Point and its spooky sun-bleached cypress trees; and The Lone Cypress, more than 250 years old and one of the most photographed trees in North America, along with it being the logo of the Pebble Beach Company. 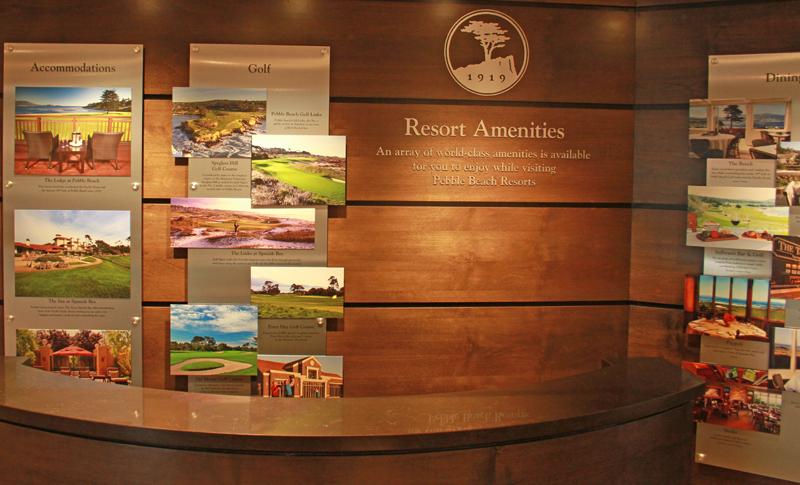 The Visitor Center is the latest unveiling in a series of completed enhancements at Pebble Beach Resorts, as the property prepares to host the 119th U.S. Open Championship on June 10-16, 2019 during the Pebble Beach Centennial Celebration. This includes a complete upgrade to all 454 guest rooms at The Lodge at Pebble Beach, The Inn at Spanish Bay and Casa Palmero; the opening of Fairway One at The Lodge, comprised of 30 guest rooms, two four-bedroom golf cottages, and a meeting facility; and subtle restorations to Pebble Beach Golf Links. All of these enhancements further solidify the reputation of Pebble Beach as North America’s premier coastal golf resort.